Trau is another name for Trogir.It is one of the most Enchanting towns on the Adriatic Coast. It is located between the island of Ciovo and the mainland. It is one of the biggest historical heritages in the world. This city has finely carved facades, elegant churches, palaces, renaissance gates and medieval streets which reflect Dalmatian art and architecture at its best. It was once a cultural centre of Dalmatia. If you visit Trogir then youshould combine sightseeing in the old town with beach days on Ciovo or you can take a boat to the unspoiled offshore islands of DRVENIK MALI AND DRVENIL VELI. Trogir is a lovely Mediterranean town with various adventures and a lot of fun. Tourist can visit and explore the Trogir and Dalmatia for adventurous activity. One can take the bike ride across the bridge to the island of Ciovo.One can admire the fishing places, pine woods and crystal clear sea. There are many bay with amazing beaches on your way to Slatine.There is also a beautiful beach Kava. For more adventure and fun Okrug Gornji is a place to be where they have water sports and many other fun loving games. 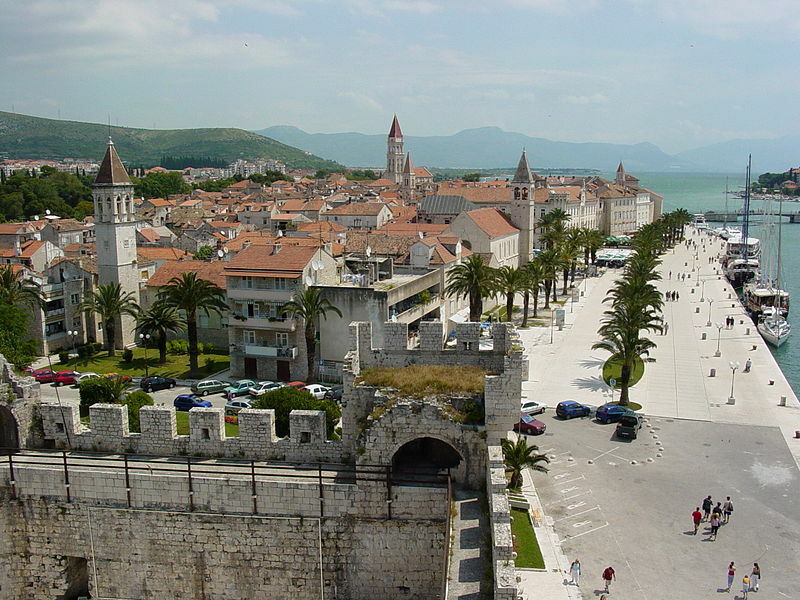 Trogir’s historic center is the source of the area’s greatest treasures. At night a place called Riva comes alive with vendors selling everything right from candy to lavender oil. They have street entertainment in the forms of fire baton, twilers, mimes and various singing groups. On the main land the city markets are open till midnight so that the visitors get to do some shopping even at the last moment before they leave. The nautical port is a favourite destination. Enjoy the view of the cathedral, town clock and palace along with a cup of coffee in the main town square.One can climb up to the church bell of St Lawrence cathedral and enjoy the unique panoramic view of the surroundings. The town turn magical at night time, the stone walls become alive under the street lights and Dalmatian songs can be heard from every corner. Enjoy the Picturesque islands Fumija and Kraljevac or magnificent laguna Keknjasi.If you can ride the boat then you can easily reach the most beautiful island Hvar which is one of the most beautiful ports in the world. While entering the port of Trogir the town walls, kamerlengo Tower and many church bells will leave you breathless. You can find anything in Trogir you will find different shops jewellery stores and souvenir shops.Konzum is a supermarket with its wide offer of products which is located at the entrance to the town. Tavern Capo is the famous place where you can try the local cuisine and restaurant DonDino helps you to choose the specialities and quality wines from their rich menu. Disco bar Padre or Disco bar Manaco across the bridge on the island of Ciovo are famous for modern music so make sure you enjoy your night out. Trogir isvery easy to travel and stress free. You can travel either by car or public transport.